The teacher is Miss Faux, who used to travel from Potterspury every day by bus. I did hear a few years back that she was still alive, well into her 90s. The view looks north. The wall which used to separate the Aylesbury Street and Church Street schools has now gone, as too has the pre-fab behind it which used to be the school canteen. Ten years after the new Boys’ School the Board of Governors opened a new school on Aylesbury Street. 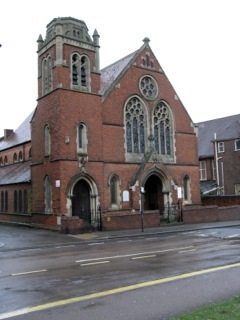 The whole block between Church Street and Aylesbury Street and Windsor Street and Jersey Road was now occupied by the two schools. 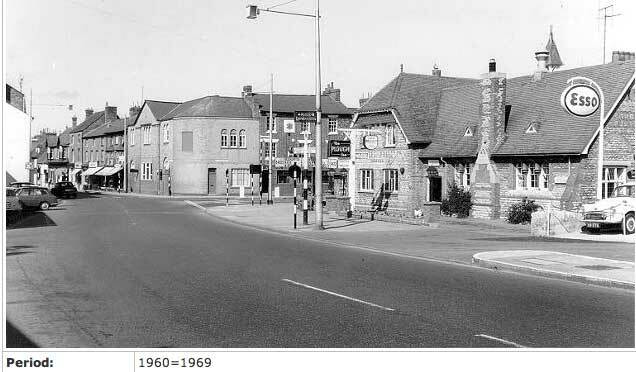 The Radcliffe Trust also decided at this time to develop new streets for Wolverton. Within a few years the schools were now surrounded by houses. The new school was a two storey building with two entrances, one marked Girls and the other marked Infants. In 1949 this designation puzzled me, but I’ll come back to that later. The school appears to have been built with expansion in mind. The rooms were large enough for 40 pupils, (although judging from the 1908 photo I referenced two days ago, they may have held more. There are 51 girls in that picture.). When I went to the school in 1949, it had been adapted to two schools. The Junior School was upstairs and the Secondary Modern (colloquially known as the Senior School downstairs. The upper floor had four years with A and B streams, and could therefore accommodate 8 classes. The same was true downstairs. The Secondary School also had 8 classes in 4 years. By this time an outbuilding had been constructed as a Cookery classroom. This building is still there adjoining a toilet block, which back then was used by girls only. There was also a wall dividing the Aylesbury Street School from the Church Street School. That has since been demolished. As I recall, school times were arranged to minimize contact between senior and junior pupils and break times were staggered. The lower playground was shared between the Infants and the Boys. The Senior girls used the upper playground on the east side and the Junior School used the playground on the west side, and their entrance was through the Jersey Road back alley. As you can see from the photographs, wrought iron railings surrounded the schools. 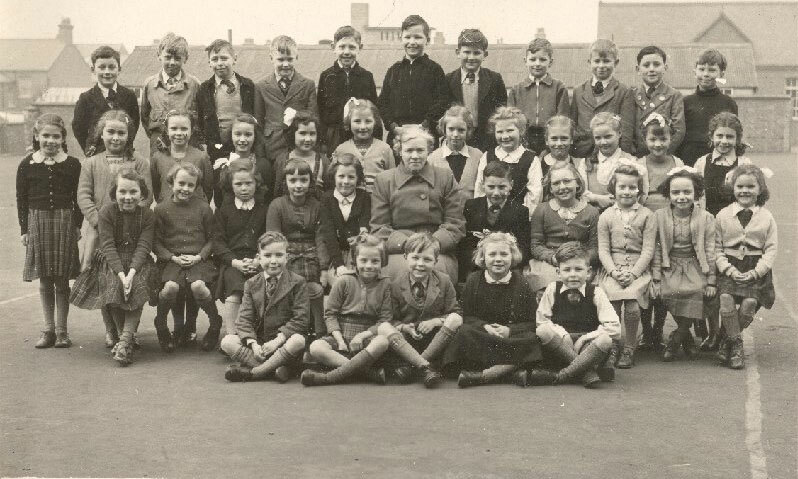 When I attended these school in the late forties and early fifties all Wolverton schools had just become co-educational – that is boys and girls were taught together in the same classroom. I had no appreciation of this revolution at the time because as a child I just accepted everything as if it had always been this way. I should also mention that after the war two pre-fab buildings were erected on the site. They were both single storey concrete slab buildings with metal window frames and a zinc corrugated roof. they were, I think, just bolted together. 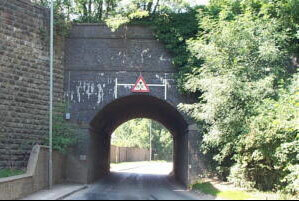 It was a fast post-war solution to building and there were even houses (such as on the Bradville estate) that were built in this way. 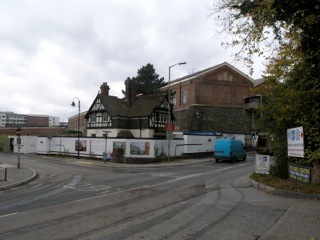 One of these buildings was placed in the eastern upper playground and became a Nursery School. It had two rooms with a central staff room. I suppose this must have been a new educational experiment at the time and my cohort may have been one of the first years to use it and were thus exposed to school at the tender age of four. I don’t remember much. We did things with wooden building blocks in the morning, had lunch and then slept on folding canvas “camp beds” in the afternoon. I imagine our school day was over by 3 o’clock. The second pre-fab was erected on the Jersey Road side at the top of the lower playground and this became the school canteen where school dinners were administered. 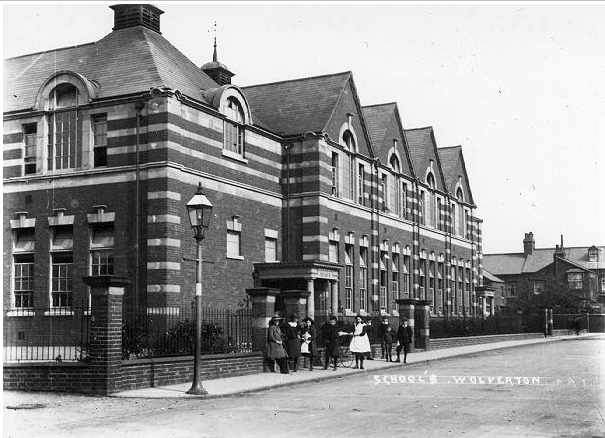 The school on Creed Street was gradually outgrown by the population and in 1896 a new school, also built by the L&NWR, was erected on Church Street, the on the western edge of the town. 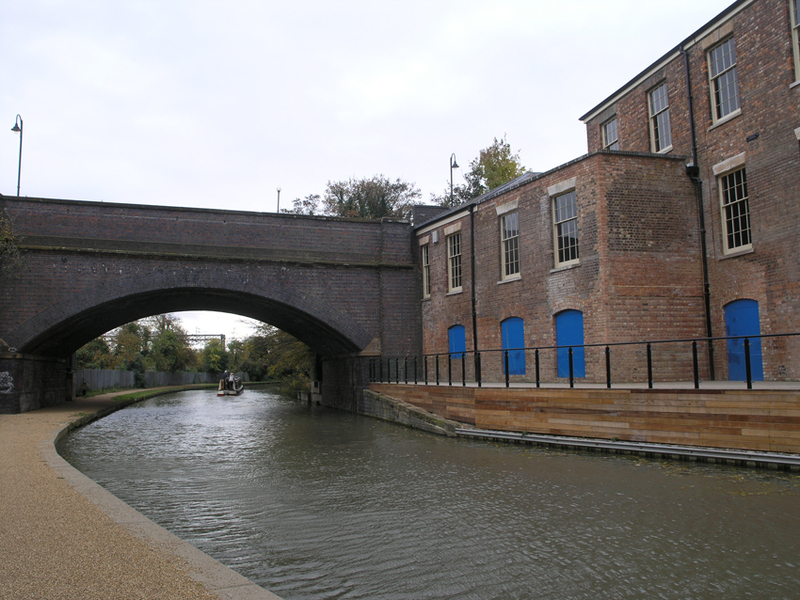 Once again, there was a complex relationship with the Radcliffe Trust – the Radcliffe Trust leasing the land and the L&NWR taking responsibility for the building. 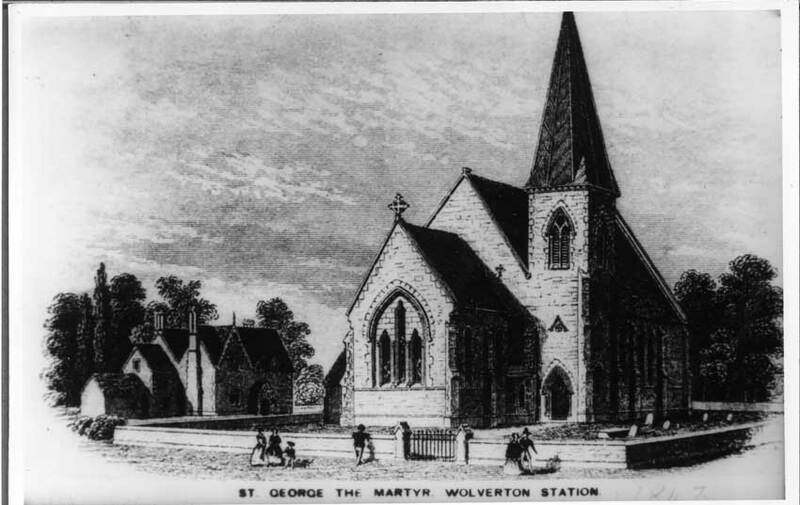 Wolverton had been very fortunate in its educational provision. 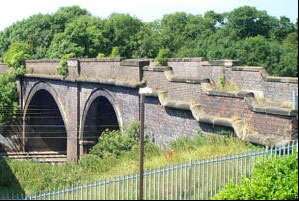 The railway company had built the first school and paid the salary for the teachers. After the 1870 Act when the Government made school attendance compulsory the cost of operation was born by ratepayers. 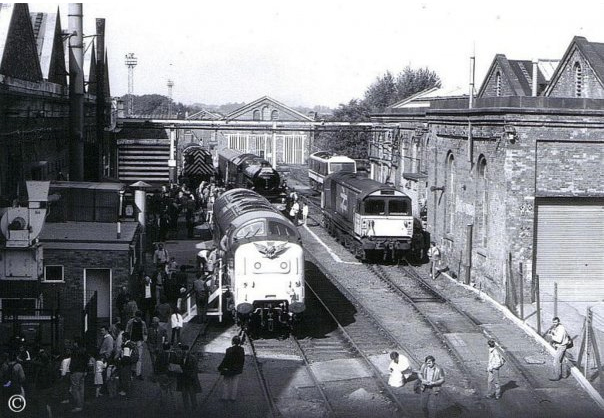 However, the capital funding by the L&NWR must have taken a great load off the community. After 1880 attendance was compulsory up to the age of 12. This was later increased step by step to 13, 14 and 15 after the 1944 Education Act. 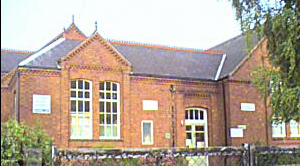 The school-leaving age was last increased to 16 in 1973. 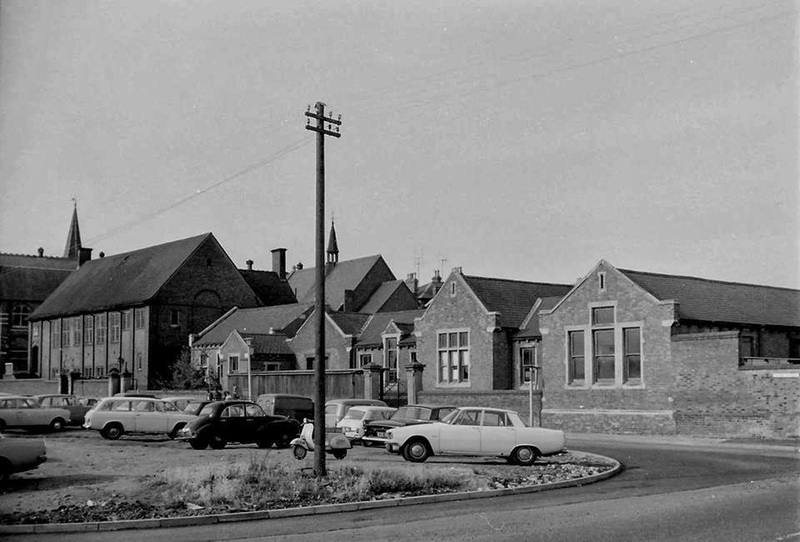 Once the new school was opened the girls and infants continued to use the old Creed Street School. The Church Street School is a single storey building and as far as I know has not been enlarged in its history. 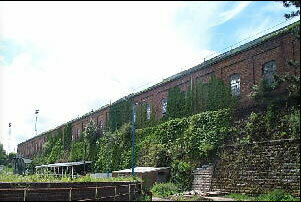 Later, a woodwork classroom was built in the grounds beside the Windsor Street back alley. The boy’s toilets were also built alongside the back alley. 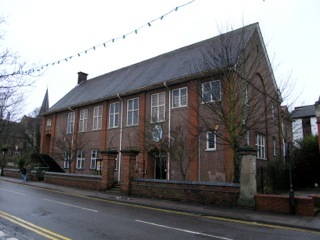 The building was used as a boys school until after the 1944 Education Act which created the Secondary Modern School. Thereafter the schools became co-educational and the Secondary Modern was opened at Aylesbury Street (which I will discuss tomorrow). The Boys School then became an Infants School, and was such when I started in 1947. I haven’t been inside the building since 1949 so all my memories are from the perspective of a small child. Everything seemed very large and it was impossible to see out of the windows, since they were so high. One larger room could be divided by folding doors and the resulting double room be used as an assembly hall. I also recall that one room on the south side had a stepped floor. 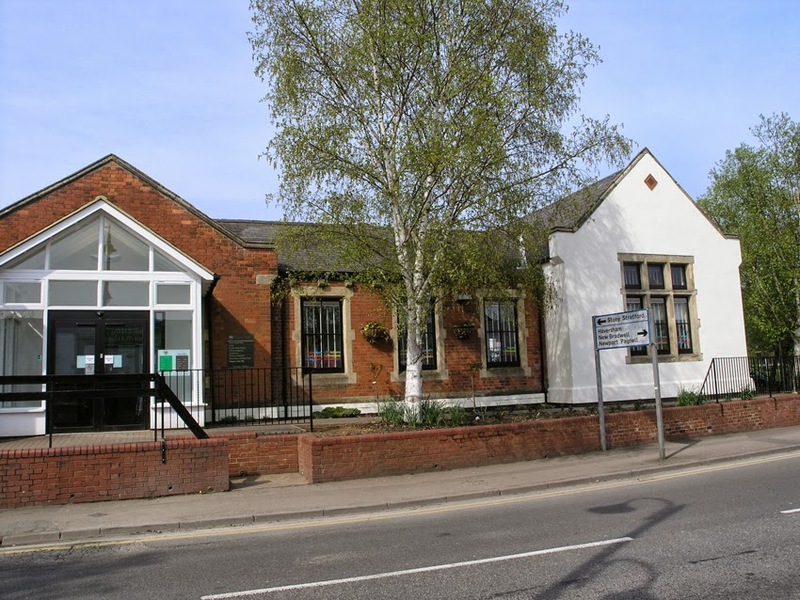 I have written about the Creed Street school before, but I want to put up this post as a prelude to writing about the later schools on Church Street and Aylesbury Street. For some reason the first school, built here in 1841, has been barely photographed. The building at present functions as a library and town meeting room. 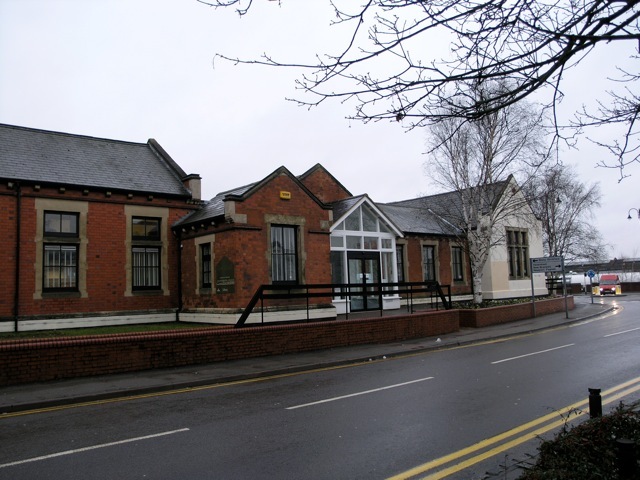 The 1841 building has been enlarged and reduced in its lifetime and ceased to operate as as school in 1906, when a new school building was opened on Aylesbury Street. In this view here the white northern section was at one time the central hall of the school buildings which were built on a U-shaped plan. 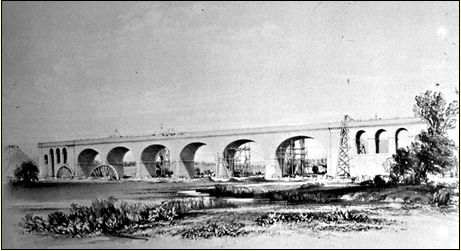 This plan drawing from 1860 will show the extent of the original. As far as I can gather, the east facing part of the building was used as a Boys’ School while the north wing was used for a girls’ classroom and an infants’ classroom. 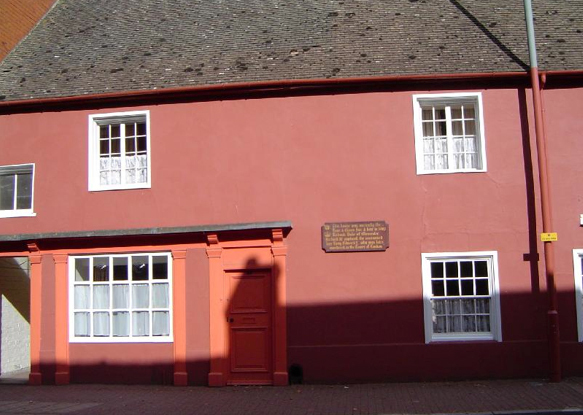 The southern wing was a house for the schoolmaster. 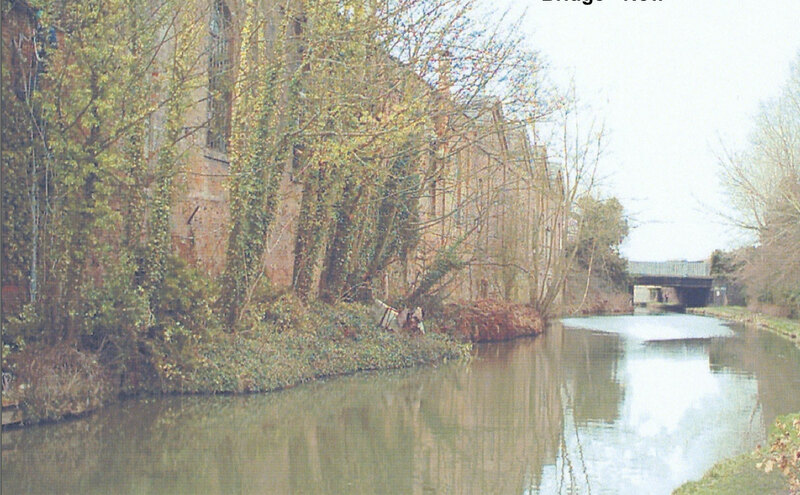 The buildings on the left were later 19th century enlargements. A new Boys’ School was built on Church Street in 1896, then on the outskirts of the town, and the Creed Street School was used only by Girls and Infants. 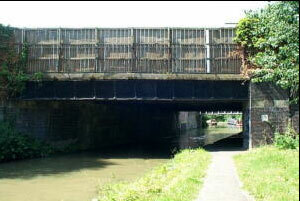 This state of affairs continued until 1906 when a new Girls and Infants School opened on Aylesbury Street. 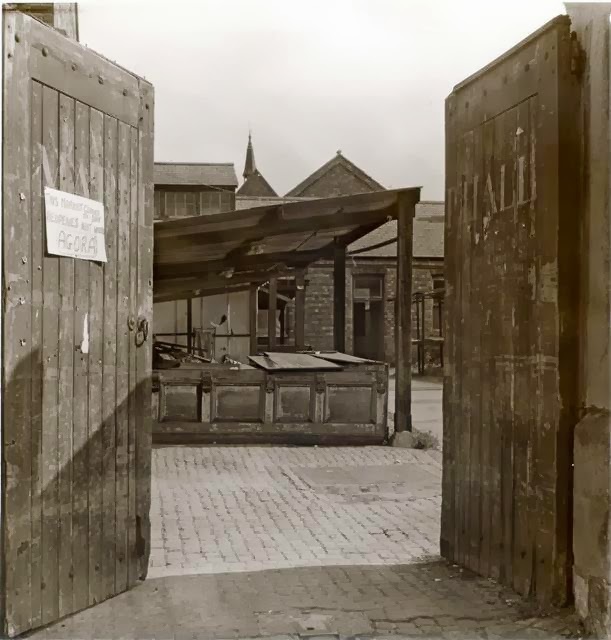 I don’t think there were any immediate plans for the Creed Street building, but that year there was a fire in the old Market House on Glyn Square which left it gutted, so the Friday Market activities moved into the empty building. It was used for this purpose until the Agora was opened in 1980. Here is a contemporary description of this first school written by Sir Francis Bond Head in his book Stokers and Pokers. The earlier post on this school can be found here.